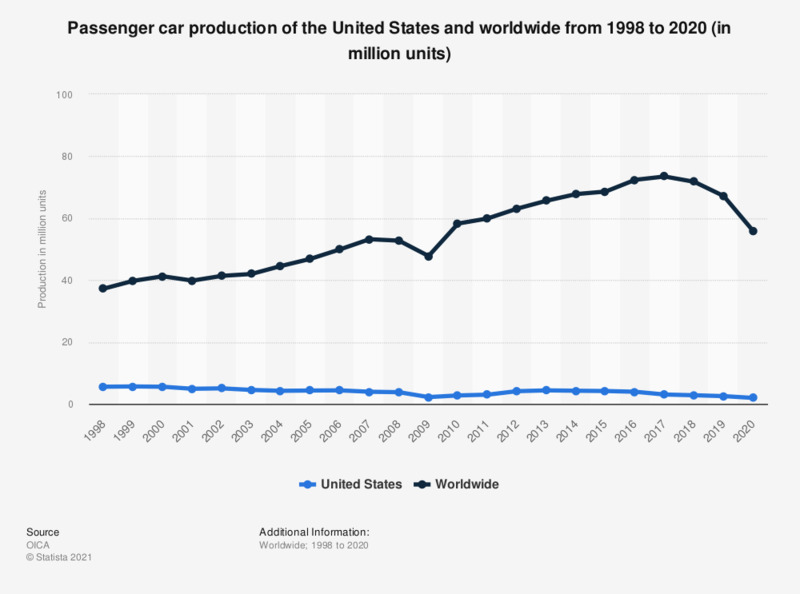 This statistic represents the passenger car production in the U.S. and worldwide from 1998 to 2018. In 2018, around 2.8 million passenger cars were produced in the United States, and 70.47 million passenger cars were produced worldwide. The figures for 1998 through 2015 are taken from previous editions.